William Boteler F. S .A. 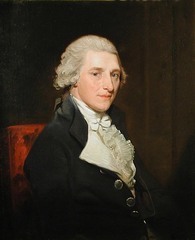 William Boteler (1745 –1818) was the head of this prominent local gentry family and the last male descendant. He was born in Eastry and lived in Eastry for nearly all his married life. His family had lived in Eastry parish for many generations. He was a Fellow of the Society of Antiquaries (F.S.A.). He was a man of strict honour and integrity. He was a zealous magistrate and as husband, father and friend, he was regarded as affectionate and kind1. He was trained as a surgeon and was an agriculturist2. He made considerable collections for Eastry parish and the neighbouring parts of Kent. His brother-in-law, William Boys F.S.A, and a surgeon in Sandwich, partnered him as Edward Hasted’s main support in completing his first edition of his “The History of Kent” and was himself the author of an outstanding history of Sandwich” 3. Edward Hasted, the historian of the County of Kent, acknowledged Mr. Boteler’s major contribution in his preface to the 4th volume of his 12 volume “History of Kent” 4. Mr. Hasted also dedicated the 9th volume of the second edition to William Boteler saying how the public were indebted to him for the pleasure and information his work would give to them. The Revd. William Francis Shaw, Vicar of Eastry, also used the manuscript records of William Boteler, volumes, A, B and C, as a major source of information for his book “Memorials of the Royal Ville and Parish of Eastry”, published in 18705. He obtained these records from the elderly sisters Charlotte and Mary Boteler, unmarried daughters of William Fuller Boteler, who lived at Brook House at the time. He discovered the Jutish burial ground in Coopers Meadow6 initially believed to be Roman, in the grounds of Southbank (now called Cross Farm) in Lower Street, Eastry and unearthed the foundations of the Medieval Chapel at Shingleton (formerly called Shrinkling). He created an Eastry Parish census list in 17837, which was followed by a later Survey of Eastry in 17978. In both surveys he recorded details of house occupation in Eastry. He carried out a full Eastry Parish Census in 18019, which has recently been transcribed10. Together with other prominent Eastry residents, he walked the boundaries of Eastry Parish in 1814 and he made a detailed recording of this event12. In 1814 he and his family moved to Canterbury. With the permission of the Archbishop and Archdeacon he re-ordered the papers in the Registry using his intimate knowledge of Kent County History. He died in Canterbury and is buried in the family vault in St. Mary’s Church, Eastry. William lived at Brook House in Brook Street from 1774 for 40 years. This elegant Georgian house was built in 1710 by his grandfather Thomas Boteler (1675-1737) on a 22-acre estate, known as Brook Street Farm, on the site of an earlier 17th century building16, The Paramore family formerly owned the estate and in 1682 Joshua Paramore transferred it to Thomas’s father, Richard Boteler. The estate was sold to William Boteler in 1774 by the coheirs of Thomas’s unmarried grandson Richard Boteler (1740-1773). William Fuller Boteler, Esq. (1777-1845 ). The other two sons, both named William, died soon after birth He became a Barrister at Law at Lincolns Inn. In 1807 he became recorder of Canterbury and subsequently recorder of Sandwich, Hythe, New Romney and Deal; also High Steward of Fordwich. He became a King’s Council in 1831 and in 1844 he was appointed Senior Commissioner of the District Court of Bankruptcy. 1804.He was the leading Tithe Lawyer of his time. He unfortunately died in 1845 following a serious railway accident at Masborough19. 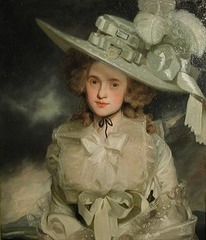 In 1785 William married Mary Harvey, daughter of Captain John Harvey of the Brunswick who was mortally wounded during the memorable battle of the “Glorious 1st of June” in 1794. Richard Boteler (1786-1833)16** was commissioned as Second-Lieutenant in the Royal Engineers in 1804 and became a Lieutenant Colonel in 1828 . He joined the army commanded by Sir Arthur Wellesley in Portugal in 1809 and was badly wounded during battles in Portugal between 1811-1814. He was unfortunately lost at sea aboard the Calypso in 1833 returning from Halifax, Nova Scotia. Henry Boteler (1793-1861) became a Captain in the Royal Navy. In 1829 he married Henrietta, daughter of Allan Bellingham esq. and niece of Sir William Bellingham of Castle Bellingham, Bart., and had one child. John Harvey Boteler (1796-1885) became a Captain in the Royal Navy. He was author of “Recollection of my Sea Life”. In 1832 he married Helen- Agnes, daughter of Sir James West esq. of Bryanston Square, London and had 5 children. Thomas Boteler (1797-1829) 16** became a Commander in the Royal Navy and was author of “Boteler’s Voyages. He died in 1829 while in command of H.M.S. “Hecla” employed on a surveying and exploring expedition on the West Coast of Africa. Revd. Edward Boteler M.A. (1798-1831) 16** became a Fellow of Sidney Sussex College, Cambridge and was vicar of St. Clements’s Church in Sandwich. Robert Boteler (1801-1866) D.L., J.P. was a High Sheriff in 1849. Formerly he was a Captain in the Royal Engineers. In 1835 he married Maria-Anne, only daughter of the Rev. John Thomas Casberd, D.C.L., and born in Pensmark, Glamorgan. They lived at Llandough Castle, Glamorgan at the time of his death. Eliza Boteler (1791-1866)21 was married in 1819 to the Rev. Charles James Burton, vicar of Lydd in Kent and had 9 children. Julia Boteler (1794-1824) was married in 1820 to the Rev. Thomas Stephen Hodges M.A. rector of Little Waltham , Essex and had 3 daughters. I would like to thank Mr. Jack Bones of Wells Farm, Eastry for his advice and providing important information about the Boteler family and for access to the Boteler A collection. The Boteler collections volumes A,B and C were missing for many years. Volume A was presented to St.Mary's CHurch, Eastry by Mr. Frank Boys of Dunsfold, Surrey in August 1985 and was deposited in the Canterbury Cathedral Archives in 1994. Dr. Mark Bateson at the Canterbury Cathedral Archive Centre determined the exact locations of the Boteler collections, volumes A and C, in 2008. The location of volume B is at present unknown but it could be in the Archives in Maidstone. Mr. Douglas Welby provided helpful advice and access to photographs. 4. Edward Hasted “The History of and Topographical Survey of the County of Kent”, volumes 1-12, 2nd edition published between 1797-1801. 5. Rev. William Frances Shaw “Memorials of the Royal Ville and Parish of Eastry”, published in 1870. 6. Tania M. Dickinson, Chris Fern, Andrew Richardson “Early Anglo-Saxon Eastry: Archaeological evidence for the beginning s of a district centre in the Kingdom of Kent”, Anglo-Saxon Studies in Archaeology and History, vol. 17, 2011. 11. Shirley Burgoyne Black (2001), "A Scholar and a Gentleman Edward Hasted, the Historian of Kent" ,p285. 12. Boteler (Irby) Collection, Canterbury Cathedral Archives, CCA-U11/6/7/4/5 (folder 4) - Boteler A. 13. Family Tree in the collection Boteler A, provided by Mr. Jack Bones. 16. Edward Hasted “ The History and Topographical Survey of Kent”, vol 10, p220, 1800. 18. Memorials in S. Mary’s Church, Eastry. 20. Ancestry UK original data: Sir Bernard Burke “ A Genealogical and Heraldic Dictionary of the Landed Gentry of Great Britain and Ireland”, published London, 1855.